Ryan O’Reilly received a massive contract extension after being traded to the Buffalo Sabres, a contract that could wind up driving Derek Stepan’s price through the roof. Photo courtesy of Doug Pensinger/Getty Images. When the season ended for the Rangers, and bloggers and beat writers began speculating, the general consensus was that Derek Stepan, an RFA, would command $6 million a year for a long term deal. Personally, I thought that even that was a bit too much money for Stepan, but it seemed like he would be able to get that much. And then the Buffalo Sabres came along. The Sabres made a draft day trade for 24 year old Ryan O’Reilly in order to be their number one center, and take pressure off of Jack Eichel, and create a strong top line of Evander Kane, O’Reilly and Tyler Ennis. They then proceeded to sign him to a massive seven year, $52.5 million deal that would pay him an average of $7.5 million a year. Now I know that the Sabres don’t have anyone of O’Reilly’s caliber at the center position, but that’s no excuse to overpay him like that. For a player that has broken 20 goals and 60 points once, that is a ridiculous amount of money. O’Reilly will be making the same amount of money as Pavel Datsyuk, Steven Stamkos and Jason Spezza, and he will be making more than guys like Patrice Bergeron, Anze Kopitar, Tyler Seguin and John Tavares after this season. For 2015-16 his cap hit will be $6 million, and the new contract will kick in for the following year. Many people, including myself, also assumed that a deal could potentially be done by now, but that is not the case. Derek Stepan is expected to file for salary arbitration at 5 PM today, which is a negotiation tool that a player can use during contract disputes. That means that he can receive no less than 85% of the prior season’s salary (but he would certainly get more), and that the deal would likely be a bridge deal if settled by an arbitrator. There’s a good chance that it would be a two year deal, which means that Stepan would be an unrestricted free agent at the age of 27, when he is entering his prime. Stepan’s stats are superior to O’Reilly’s in every meaningful category, so based on market value, he should be worth about the same amount of money. Stepan has totaled .70 PPG, a +85 rating, and a 50.7 Corsi rating in 18:18 minutes per game. 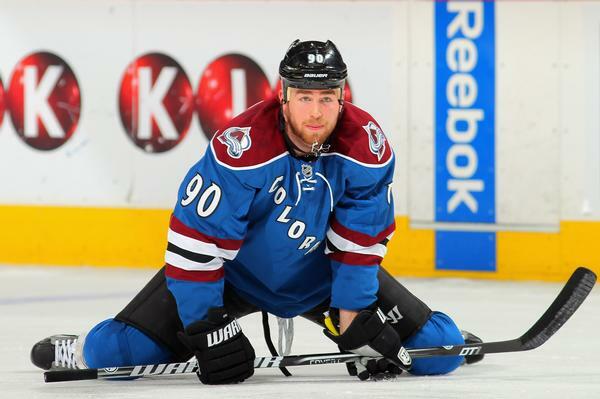 O’Reilly has totaled .58 PPG, a -13 rating, and a 49.8 Corsi in 18:26 ice time per game. 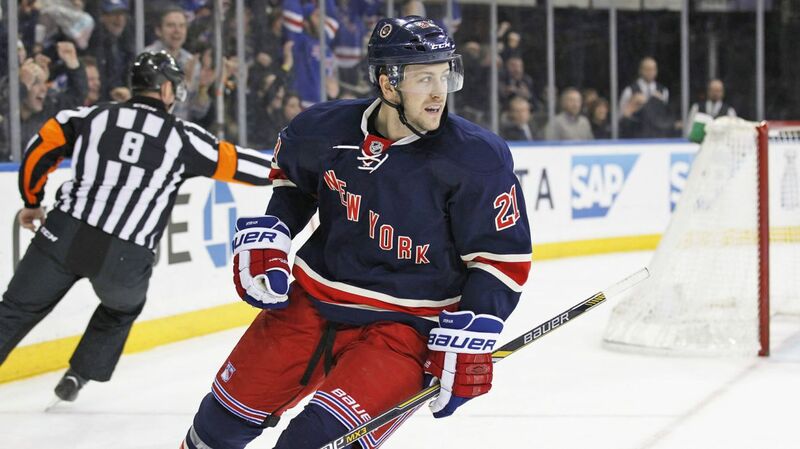 Stepan is the better player, and he’s very well rounded, able to play in both ends of the ice. Derek Stepan is a superior player to O’Reilly in every way, but that doesn’t mean that he should get grossly overpaid too. Photo courtesy of MSG Photos. The problem here is that the Rangers cannot afford a deal anywhere even close to $7 or $7.5 million for Stepan. They still have to re-sign Miller, Fast and Etem, and they will have to extend Chris Kreider and Kevin Hayes after this season. But Stepan is the best two-way center on the team, and maybe even the best center overall depending on your opinion of Derick Brassard. The Rangers can’t afford to lose him right now. At an arbitration hearing, there is no doubt that O’Reilly will be brought up as a comparable in the arbitration hearing. And it doesn’t matter that O’Reilly’s contract came from a team with millions of dollars available in free cap space. The Rangers don’t have that luxury. Anything over $6.5 million puts the Rangers in serious cap constraints for 2015-16. Sather has already shelled out millions of dollars to lock down guys like Henrik Lundqvist, Dan Girardi and Marc Staal, investing lots of money in the backend, not on forwards. On top of that, the team will have to re-sign guys like Kreider, Hayes and others. Realistically, cap space needs to be freed up. In a perfect world, the Rangers would be able to dump Tanner Glass’ salary somewhere, and trade a defenseman, likely Klein, to free up the necessary cap space to sign Stepan to a long term deal (but not for $7 million). Viktor Stalberg would be an instant upgrade on the fourth line. I know that Klein has one of the friendliest contracts on the Rangers, and he’s a very solid defenseman on a thin right-side, but his contract is realistically the only movable one. This is what happens when guys like Marc Staal and Dan Girardi get signed to deals worth $5.5+ million. Brady Skjei has all of the Rangers’ coaching staff salivating with his skating and performance during the Rangers prospect camp, and many believe that he could be competing for an NHL roster spot next season, as well as Dylan McIlrath. The NHL is progressing to a fast, skillful, offensive league. Stepan is one of the rare breeds of players that showcases good offensive skills, with room for improvement, and a strong defensive game. Teams that stack up on the blue line aren’t the teams that are winning the cup anymore. The Rangers can afford to trade a defenseman, and they need to re-sign Stepan. The Rangers already traded Carl Hagelin to free up cap space, believing that he would cost too much to keep long term. If Gorton believes that Kevin Hayes is ready to be the number two center, than perhaps he ships off Stepan for a package of picks and prospects. I doubt that this happens, and I don’t think that it should, but you never know what can happen following contract negotiations. The bottom line is this. The Rangers can’t afford a contract for Stepan like the one given to O’Reilly, especially not with the amount of money invested in defenseman and Lundqvist. It will come down to the Rangers stance on Stepan as a player, and if he’s worth the $7+ million salary that has been set for a player like him, or if Stepan will take a discount to be a Rangers for a long, long time. Posted on July 5, 2015, in In the Crease and tagged Buffalo Sabres, Derek Stepan, Glen Sather, Jeff Gorton, New York Ranger, New York Rangers blog, NYR, O'Reilly extension, Rangers, Rangers blog, Ryan O'Reilly, Stepan arbitration, Stepan contract negotiations, Stepan resigned, Tim Murray. Bookmark the permalink. 3 Comments. IMO, Larry Brooks is a poor columnist that gets by on having occasional inside information. Most of his stuff is baseless speculation & hyperbole. In any case, I’m not so sure ROR’s new contract can be used during the arbitration process. Through 2015-16, he will still be under his old, 2 year contract. That contract was good for a $6.0 mil AAV. His new, recently signed contract does not take effect until the beginning of the 2016-17 season. After 2015-16, ROR would have been a UFA. It seems to me that Buffalo simply decided to negotiate a year early on a UFA contract, and they came to an agreement. It wouldn’t surprise me if the ROR contract is not permitted to be used as leverage during the arbitration process. Again… the contract ROR just signed with Buffalo will not come into play until ROR would have been a UFA. UFA contracts are not allowed as a basis for comparison during arbitration. Also, even if ROR’s new contract were allowed to be used during the arbitration process…nothing is stopping the arbitrators from finding ROR to be overpaid. Let’s face it, Buffalo just overpaid ROR. One should not be able to use such an extreme contract as a negotiating chip during arbitration. I agree, they shouldn’t be able to say “hey, ROR was ridiculously overpaid, I’m a better player, so I should get that much money.” But it will probably come into play because he got that extension based on his skills and stats now. I just hope it doesn’t drive up Step’s price a lot.